Shopping for a mortgage loan? We'll be glad to answer your questions about your mortgage needs! Call us at 502-491-0749. Want to get started? Apply Now. Tighten your belt and save. Look for ways you can reduce your monthly expenditures to put away money for a down payment. You may also decide to enroll in an automatic savings plan at your bank to have a percentage of your pay automatically deposited into savings. You could look into some big expenses in your spending history that you can do without, or trim, at least temporarily. Here are a couple of examples: you may move into less expensive housing, or skip a vacation. Work a second job and sell items you don't need. Maybe you can find a second job to get your down payment money. Additionally, you can put together an exhaustive list of items you can sell. Unused gold jewelry can bring a good price from local jewelry stores. Multiple small things may add up to a fair amount at a garage or tag sale. Also, you might want to think about selling any investments you hold. Borrow from your retirement funds. Check the provisions of your specific plan. Many homebuyers get down payment money by withdrawing from IRAs or borrowing from 401(k) plans. Make sure you understand the tax consequences, repayment terms, and any penalties for withdrawing early. Request a generous gift from family. First-time buyers sometimes get help with their down payment help from giving family members who are anxious to help them get into their first home. Your family members may be pleased to help you reach the goal of owning your first home. Research housing finance agencies. Provisional mortgage loans are provided to buyers in specific situations, like low income buyers or homebuyers planning to improve houses in a particular part of town, among others. Financing with this type of agency, you can receive an interest rate that is below market, down payment help and other advantages. These types of agencies can help eligible homebuyers with a reduced interest rate, get you your down payment, and offer other assistance. These non-profit programs exist to promote community in particular areas.  The Federal Housing Administration (FHA), a part of the U.S. Department of Housing and Urban Development (HUD), plays a vital part in helping low and moderate-income individuals qualify for mortgages. Part of the United States Department of Housing and Urban Development(HUD), FHA (Federal Housing Administration) aids homebuyers who wish to get home financing. FHA provides mortgage insurance to private lenders, helping the buyers to become eligible for financing. Interest rates with an FHA mortgage are generally the market interest rate, but the down payment for an FHA mortgage are lower than those of conventional loans. Closing costs might be financed in the mortgage, and your down payment could be as low as 3 percent of the total amount. VA loans are guaranteed by the Department of Veterans Affairs. Veterens and service people can get a VA loan, which typically offers a competitive rate of interest, no down payment, and minimal closing costs. Although the mortgage loans don't originate from the VA, the department verifies borrowers by providing eligibility certificates. A piggy-back loan is a second mortgage that you close along with the first. Most of the time, the piggyback loan is for 10 percent of the home's price, and the first mortgage finances 80 percent. In contrast to the usual 20 percent down payment, the buyer will just have to cover the remaining 10 percent.  We a seller carries back a second mortgage, the seller loans you part of his or her equity. The buyer funds the majority of the purchase price through a traditional mortgage program and finances the remaining funds with the seller. Typically you'll pay a somewhat higher interest rate on the loan from the seller. No matter how you gather your down payment money, the thrill of owning your own home will be just as great! Need to talk about the best options for down payments? Give us a call: 502-491-0749.